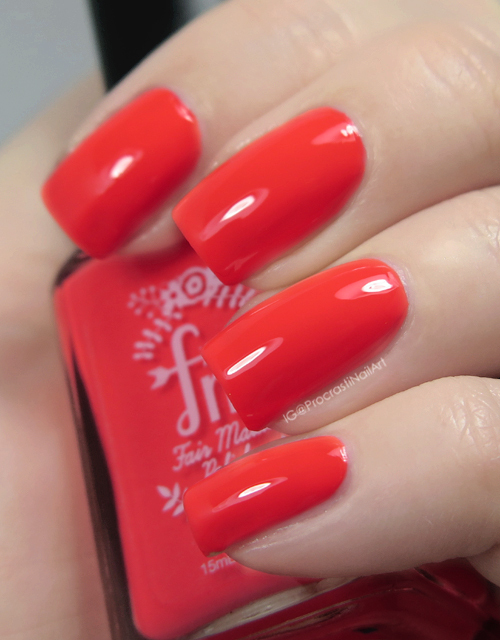 I have a quick swatch to share with you today that I found in the depths of my older nail photos. I can't believe I waited so long to share this since this is one of my all time favourite polishes! 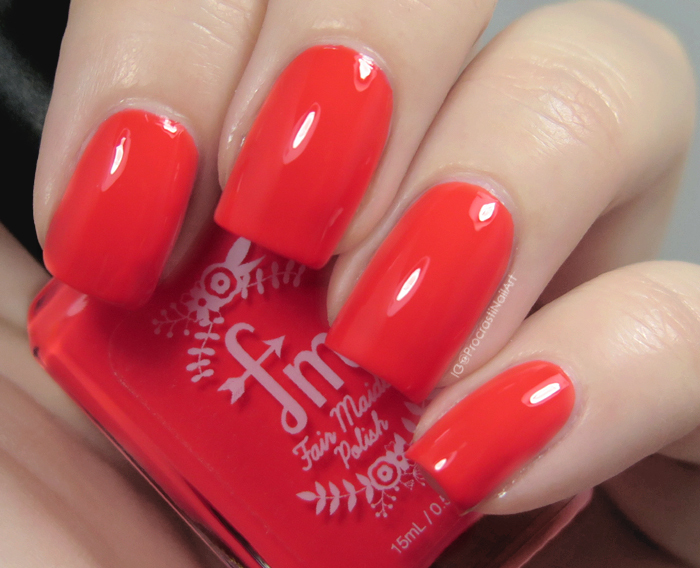 It's an amazing colour, especially in the summer time when you feel like rocking a neon. This one is currently out of stock on the Fair Maiden Polish site, but be sure to check back often as they will likely restock! So what do you think of this amazingly bright creme? Is it something you would wear, or do you prefer a more subtle polish? Let me know! This is a nice vibrant shade. I like it.